CCC successfully single source negotiated this contract as a Strategic Partner with GM at their Fort Wayne Assembly facility for the T1 pickup truck program. 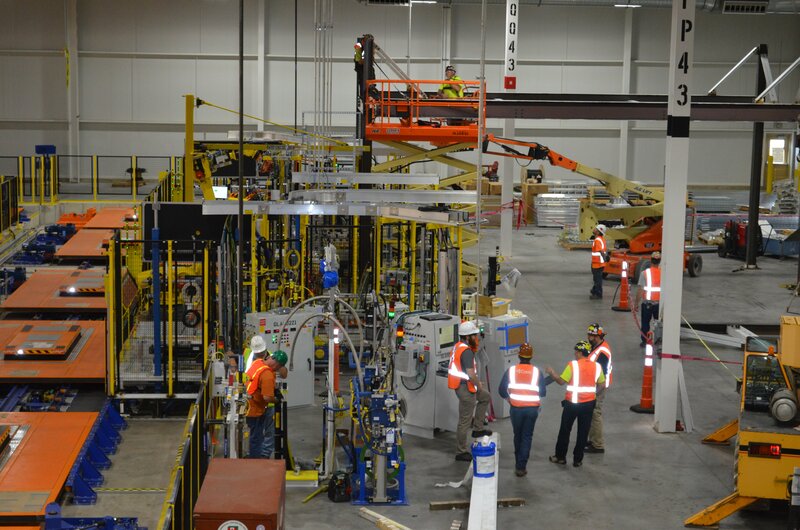 As a partner, CCC was engaged in the project integration design and overall schedule development including tooling and conveyors. This project peaked after the FWA T1 body shop tool install so we were able to leverage management, labor and equipment resources from the body shop to the GA, which was a key for this entire GM program. 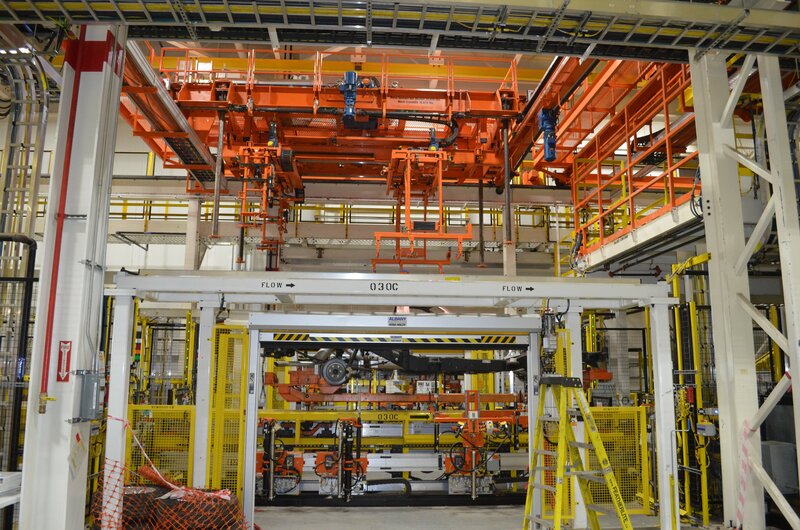 The installation itself consisted of header steel, tool rail, platforms, tooling, torque monitoring equipment, controls, flammable liquid piping, pit work, demolition, part racks and many other typical general assembly shop components in both brown and green field applications. 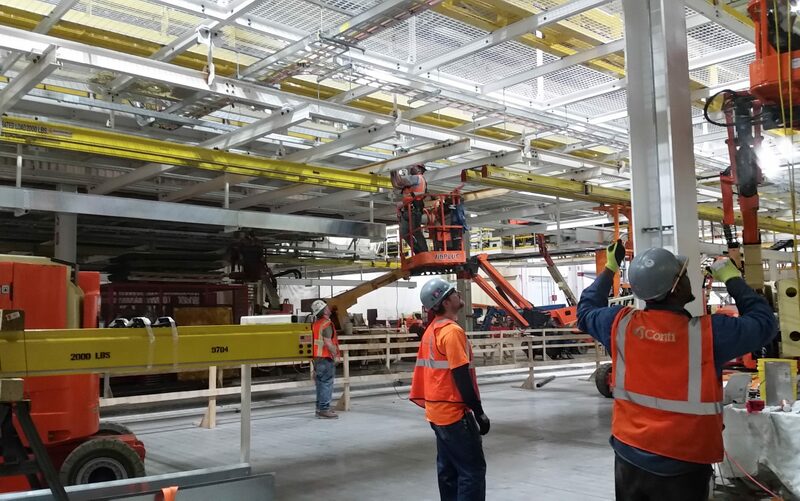 CCC successfully completed two major shutdowns, of which the biggest was five weeks long and peak work force including CCC and our subcontractors exceeded 350 working trade’s people.